Rajshree Overseas provides latest Stainless Steel Bright Bar exporter and Stainless Steel Bright Bar suppliers, manufacturers. 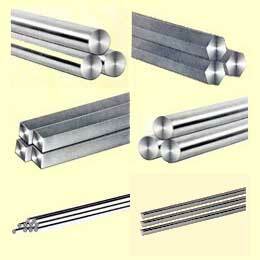 Our stainless steel bright bars are of premium quality and are produced from hot rolled plain bars/wire rods. These Bright Bars have a smooth and a bright surface with Accurate Tolerance on the dimensions and possess improved mechanical properties, greater dimensional accuracy, better surface integrity and these superior product qualities provide a number of significant design advantages & benefits and are mainly used different industries.